When two light atoms overcome the barriers separating them to become one atom, they release a certain amount of energy that was once “binding energy” into kinetic energy. This is emitted when the fused atom heats up and ejects a highly energized neutron. In deuterium tritium fusion, as featured, the atoms come together for a single instant as helium-5, before immediately decaying into the more stable helium-4 and a neutron. That neutron is very energetic, and can then be captured in a medium, heating that medium to turn a turbine. Deuterium and He3 are injected into the chamber where they are ionized and accelerated into an ion beam. These lenses serve to excite the ion beam and control it so it doesn’t stray off course on the way to the target. They also serve to periodically increase the density to induce ionic heating through deuterium-helium-3 fusion. The target is made of Lithium BoroTritide and has the highest density of Tritium by volume. Here the excited deuterium hits the target with a large amount of kinetic energy and fuses with tritium, creating a vast surplus of energy. The product of deuterium and tritium fusion is helium-4 and a neutron. Helium-4 is a rare resource, one that does not stick around earth once in the atmosphere, and one needed for scientific equipment like MRI’s. 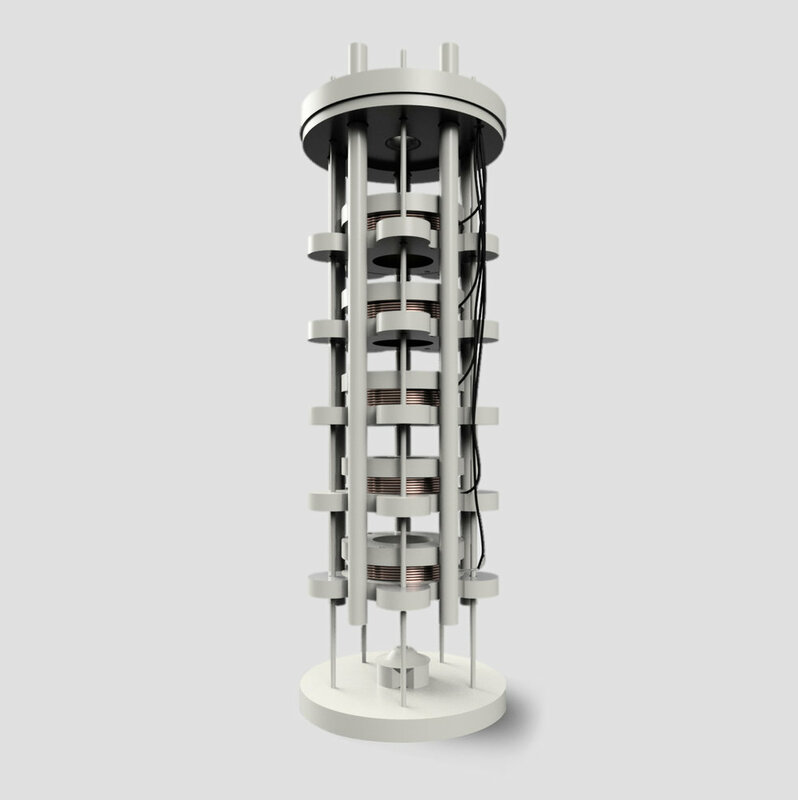 The neutron is the main carrier of energy, holding 14.1 MeV’s of energy, that will be used to power a steam turbine, generating electricity.